Estrada to Haggerty: You are destructive to the growth of the Hispanic and African American Community! "Haggerty to Myrna Littlewort who are against the leadership of the Queens County GOP have become destructive to the growth of the Hispanic and African American Community in the 35th Assembly District," says Ruben Estrada. A searing open letter from Ruben Estrada to the Haggerty brothers. Today I write to inform the public of the most intolerable discriminatory actions perpetuated on viable, respectable and honorable American Hispanic Republican candidate in Queens County. Allow me to introduce myself and that which I represent and moreover the major national Republican Party initiative developed, and being implemented with the interest of reaching out to the Hispanic community. I am writing this personally as a lifelong Republican Party builder, and in my capacity as the area coordinator of the Future Majority Project “FMP” who identified and supported Eric M. Mingott, Candidate for the NYS Assembly 35th Assembly District, a decision of which I applaud. The Republican State Leadership Committee’s (RSLC) Future Majority Project has a goal of growing the Republican family in three areas: Americans of Hispanic descent, women and young voters. Specific to this campaign, the goal is to identify 100 new state level candidates of Hispanic descent and provide advice, resources and support to help elect at least 30 diverse candidates in the 2012 election cycle. As the designated coordinator of FMP, our efforts in New York have been aggressive and positive. My involvement as coordinator allowed me to assist in identifying true viable and electable Republican state level candidates of Hispanic descent within New York. Our objectives include: recruit at least 100 new Hispanic legislative candidates across the country, increase the number of female Republican legislative candidates and partner with the College Republican National Committee for a national youth training and mobilization program. 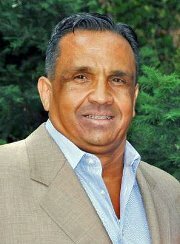 As a lifelong American Republican of Puerto Rican heritage born and raised in El Barrio (Spanish Harlem), Republican Party Builder and Chairman of the Latino National Republican Coalition of New York, I have been recognized by the Republican National Committee as a Republican Hispanic leader in the United States, Member of the RNC Hispanic Steering Committee and the most active Hispanic Republican advocating for Hispanic inclusion nationally and particularly in New York State. 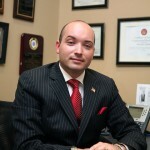 Most recently I have had the pleasure of meeting, and recommending for support to the FMP the candidacy to New York State Assembly in the 35 Assembly District of Queens, NY a very impressive and committed Hispanic Candidate with true Republican values (a young man with the ability to be the voice of equality and opportunities in his community) Mr. Eric M. Mingott. I must commend Eric M. Mingott with the honorable attempt he had made in securing a place on the ballot for NYS Assembly in the 35th A.D. Eric M. Mingott had recently resigned from his position with the Internal Revenue Service in order to help improve his community and create employment opportunities in the 35th A.D. 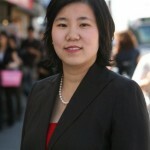 He is currently working on sponsoring three legislative bills that would create local manufacturing jobs and attract investors to the 35th Assembly District in order to support small business and improve the overall quality of life in neighborhoods such as East Elmhurst, Corona, Jackson Heights and Rego Park. Haggerty to Myrna Littlewort who are against the leadership of the Queens County GOP have become destructive to the growth of the Hispanic and African American Community in the 35th Assembly District. With that said, and although the decision was made, one which must have been difficult for the Board of Elections; I must state that the negative influences internally and externally within the Republican party of those such as John Haggerty and Bart Haggerty (employees, supporters, friends, and colleagues of New York City Councilman Eric Ulrich); and the ever so trivial personal and territorial egos of Myrna Littlewort and Gigi Salvador has caused the results of the disqualifying the nomination and designation of the only candidate seeking ballot, a Hispanic Republican in the 35th Assembly District, Eric M. Mingott. 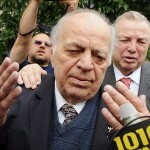 Notwithstanding, the irony of the efforts by the Haggerty brothers and their allies, understand that it was void of an opposing candidate seeking the nomination and designation to the 35 AD, Queens County. Objections and opposition to the candidacy of Eric M. Mingott is merely one of hate opposition of Hispanic inclusion and outright bigoted. The actions by the Haggerty brothers bring a negative effect on those Hispanic potential candidates may they be just contemplating a run for public office or well supported viable Republican Hispanic’s. This resonates negatively to our well respected national and statewide initiative of increasing Hispanic Republican representation. Republicans in Queens County should be ashamed of the Haggerty brothers, the law and/or judge who have allowed them to continue their destructive involvement in politics, perpetuate their obvious bigotry, and permit a known convicted criminal and their allies to set policy.